"I’ve played many types of pickups throughout my bass playing career and when I first played Bartolini Pickups I knew from then on out that they would always be my number one choice. The tone and clarity that the pickups produce is smooth and is the tone I’ve been looking for." John Trammell is a Texan bassist that has been playing well over 10 years. He always had a bass guitar lying around the house because his older brother was in a band growing up. At a young age he began messing around with his brother’s bass and he developed a love for it. He started playing seriously around the age 16. 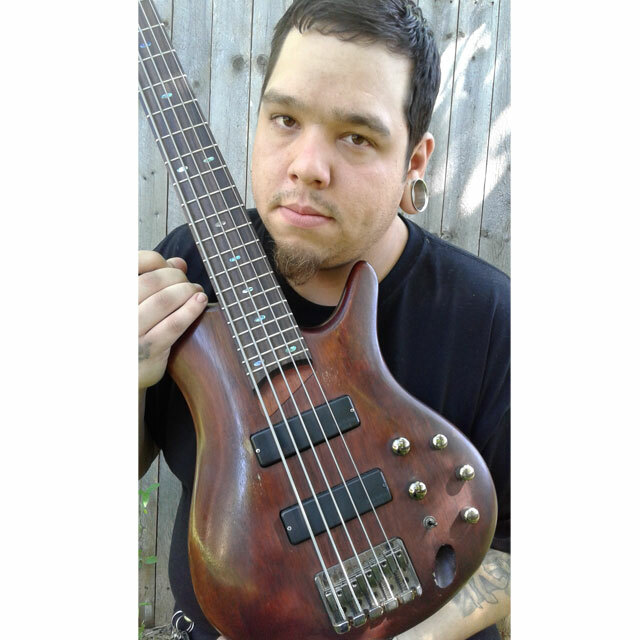 John Trammell has been in several bands over his bass playing career. Now he is dedicated to Texas Death Metal band Demonseed which he has been with for 4 years and put out ep’s and full length albums. He also likes to cover songs and play other genres of music, he’s not just limited to a certain type of music. He also isn’t limited to bass – he plays guitar and drums!